I know it’s cliche to say, “New Year, New Me.” But January is an ideal time to start over, to rejuvenate. To feel Fresh and New. There is absolutely nothing like a clean slate. I’m not the kind of gal to make resolutions, I pick one word to create my theme for the year. This year, I’ve chosen JOY as my theme. Part of creating joy is to do more for myself and surround myself with the things that bring me joy. I want to feel fresh, inspired and calm throughout 2016 – basically, I want to embrace the feelings that bring me joy. What better place to feel these emotions than in the home? This year, I want to make my home – especially my bedroom – a more peaceful space. There’s nothing calm about my bedroom. The walls are red and it’s just not as organized as I’d like it to be. So I decided to kick off my new year with a bedroom makeover and create a place where I can truly relax. Going to sleep and waking up in a calming bedroom environment will bring me joy every day throughout the year. As I discovered at Glade®’s Museum of Feelings, scent is powerful and evokes many emotions. 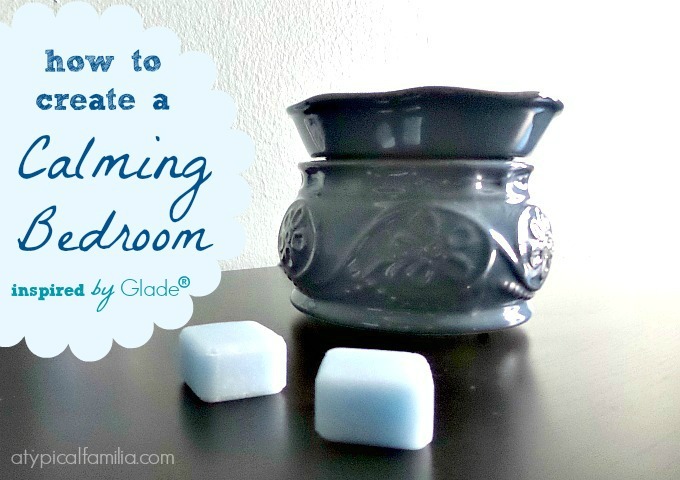 My calming bedroom makeover is inspired by Glade®’s Clean Linen® Wax Melts! 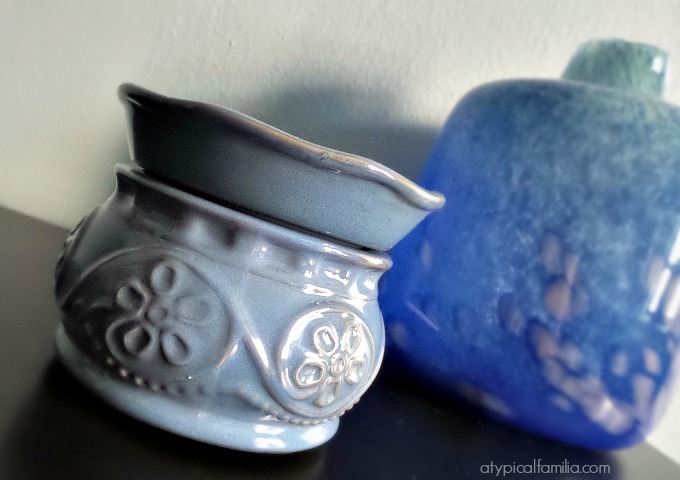 I purchased my Glade® Wax Melt Warmer at Target and opted for the blueish-grey holder since it’s the color scheme I want for my bedroom. 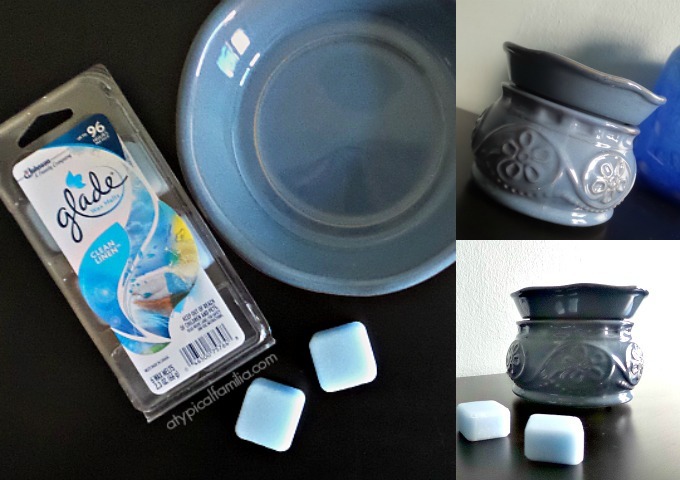 But Glade® Wax Melt Warmers are available in other colors, including white. 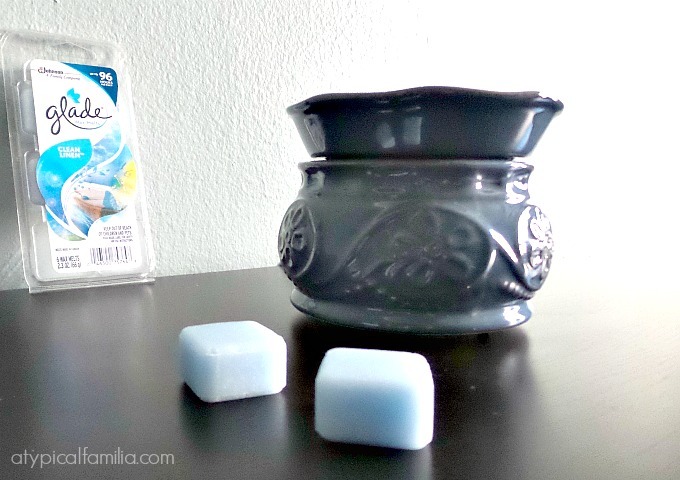 What I love about Glade® Wax Melts is that they are effortless. No flames or matches required. All I have to do is plug in the warmer and place one little wax cube in the tray to experience the Fresh and New aroma of Clean Linen® for up to 16 hours. Though I would love a complete bedroom makeover, it’s just not in the budget right now. So I have to make do with what I have. Having parents who were born in Puerto Rico in the 1940s – I was raised to not take anything for granted, to take care of what I have. We didn’t have much but my parents always made do and got creative. My parents – especially my mom – had a “waste not, want not” attitude. We moved furniture around, made simple updates to existing pieces. If it wasn’t broken, it could still be used. Heck, even if it was broken – she’d find a way to fix it. She’d refinish furniture or buy new knobs for dresser drawers and cabinets. My parents still have their bedroom and dining room furniture from when they were first married! (You guys, they’ve been married for more than 40 years.) And my bedroom dressers are the same ones that were in my childhood bedroom. So believe me when I say, that my calming bedroom makeover will not break the bank. A fresh coat of paint, new linens, a few updates and some simple organization will be the key to my calm. Follow the tutorial below for a fresh new look today! Remove all the clutter. I don’t know about you, but I tend to collect stuff. Living in a two-bedroom apartment, there isn’t a lot of space and I’m learning to let go of all the things that don’t bring me joy. Assess what’s in your bedroom – do you really need it? Removing clutter and creating space will make an old room, feel fresh and new. Store it. We all have paperwork and items (seasonal clothes, shoes, etc.) that need to be stored away in the bedroom. Paperwork reminds me of work, family responsibilities and all the things I need to do. The added stress of seeing it all makes it hard to relax. Storing it helps because – out of sight, out of mind. There are many decorative file folders and storage organization to keep all the things hidden while still being pleasing to the eye. Choose Blue. Paint your walls a calming shade of blue or add splashes of blue in soft furnishings such as linens, bedspreads, pillows and other accents. Looking at the color blue is said to evoke feelings of serenity. Something Old, Something New. If you can’t replace it, update it. Paint a dresser, buy new hardware, purchase a new lamp shade, spray paint picture/mirror frames are just a few ideas to make something old, new again. Rearrange Furniture (if you can). It’s easy to get stuck in a rut and routine especially when it comes to our furniture. A new bedroom arrangement can give you a fresh perspective. Unplug before bedtime. My bedroom also serves as my home office (that’s apartment life!) but I shut down my computer before going to sleep and I charge my cell phone in another room. And if it’s in my room, it’s off and charging out of arm’s reach. Add the Final Touch. Every bedroom makeover (no matter how big or small) needs a final touch to complete the look. 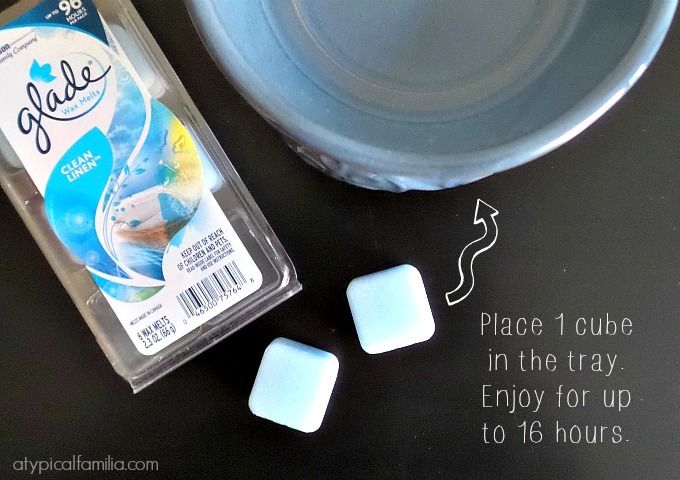 Plug in your Glade® Wax Melts Warmer and enjoy the Fresh and New fragrance of Clean Linen® Wax Melts. It’s the perfect complement to make you (and your bedroom) feel fresh and pure this new year. What will you do to feel Fresh and New this year? Be sure to follow Glade®’s Facebook page and bring the warmth of the holidays to your home with this special coupon offer.